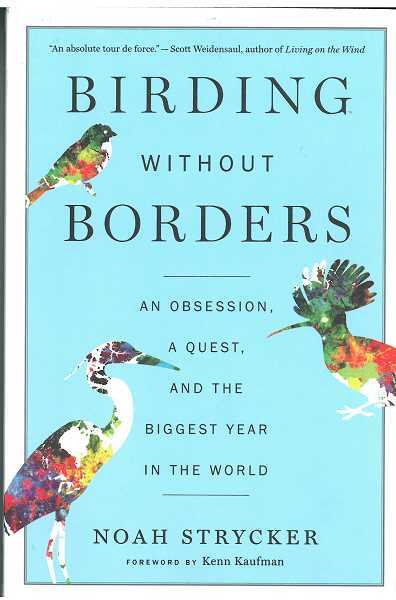 Author Noah Strycker's book 'Birding Without Borders' has been selected for Community Read. Author Noah Strycker's book "Birding Without Borders" has been selected for this year's Jefferson County Community Read events. "Birding Without Borders" is a nonfiction book depicting Strycker's yearlong travel around the world to all continents, with the intent to document 5,000 species of birds. He surpasses that, and the book is a riveting read, not just about birding, but about meeting people, different parts of the world, overcoming challenges, and how people come together to help each other for a cause. Copies of the book will be for sale at the libraries in Madras and Warm Springs and at the Madras-Jefferson County Chamber of Commerce after Thanksgiving, and would make a great Christmas gift. Community Read activities will begin in May. There will be a guided bird walk each day in the different communities, with the assistance of local bird watchers. Some times and locations are still being arranged. A bird walk and presentation at Crooked River Ranch. At 5:30 p.m., Art Adventure Gallery's opening, with photography by Sue Young's photography students along with public art. A bird walk and presentation in Warm Springs. At 7:30 p.m., the film "The Big Year" will be shown in the library's Rodriguez Annex. The film is mentioned in the book, so the Community Read Committee worked with the library film committee to do this. A bird walk at the Crooked River wetlands. An evening community reception and author's presentation at the Rodriguez Annex with refreshments.